IRVINE, Calif., Oct. 13, 2011 (SEND2PRESS NEWSWIRE) — Edupoint(TM) Educational Systems, a leading student information system (SIS) solutions provider to the national K-12 market, has been selected by the High Desert Education Service District to replace their eSIS SIS solution with Edupoint’s GENESIS(TM) SIS. Extensive evaluations were performed by the ESD and the districts it serves, including the Redmond School District, and the combined strengths of the GENESIS SIS and integrated TeacherVUE(TM) Gradebook outperformed others during their functional and technical reviews. Redmond School District, which serves more than 7,000 elementary, junior high, and high school students in central Oregon, follows a simple motto: Every Child, Every Chance, Every Day. This forward-thinking district saw the value of moving toward proficiency-based scoring and learning across all their campuses. Having seen firsthand the integration issues that arise with bolting a gradebook solution onto a student information system, Redmond wanted to find a fully integrated solution that offered rich functionality in both the SIS and teacher gradebook areas. GENESIS is a true web-based SIS solution that provides easy access to real-time data for all users – administrators, teachers, parents and students. For thirty years, the leadership of Edupoint Educational Systems, LLC, has set the standard for K-12 student information management systems. Their innovative solutions have been used by thousands of schools to manage millions of students. Today, the company empowers a new era of self-sufficient school districts with solutions built on Revelation Technology(TM), its extensible, scalable, rapid application development platform. Those solutions include GENESIS(TM), an enterprise-level student information system, and GENESEA(TM), a comprehensive special education management system. 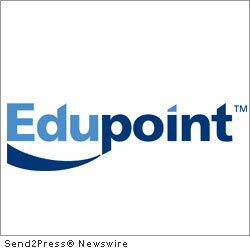 To learn more about Edupoint, visit www.Edupoint.com. Original Keywords: COO Rob Wilson, Rachel Wente-Chaney, TeacherVUE Gradebook, GENESIS SIS, Edupoint Educational Systems LLC, High Desert Education Service District, GENESEA, special education management system, Irvine California Edupoint Educational Systems, LLC Irvine California IRVINE, Calif.
REFERENCES: Business News, COO Rob Wilson, Rachel Wente-Chaney, TeacherVUE Gradebook, GENESIS SIS, Edupoint Educational Systems LLC, High Desert Education Service District, GENESEA, special education management system, Irvine California Edupoint Educational Systems, LLC Irvine California IRVINE, Calif.